By introducing yet another outstanding product in the intense competition of smartphones, Xiaomi has once again proved its mettle. The company is expected to launch Xiaomi Redmi Note Prime which has been designed meticulously to qualify all the standards of an ideal smartphone, corresponding to the price. 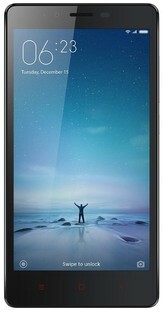 A Quad-Core Cortex A53 processor, Li-Po 3100 mAh removable battery, 13 MP Primary and 5MP Secondary camera. The new Xiaomi Redmi Note Prime comes with a Quad-core 1.2 GHz processor Cortex A53 and chipset Qualcomm MSM8916 Snapdragon 410, to provide the best balance between efficiency and performance. There is 2 GB RAM facilitating smooth functioning of the applications. Also, if you are a gamer, this is the phone you would want. While considering the Xiaomi Redmi Note Prime camera review, the phone boasts of a 13 MP rear and 5MP front camera with front camera autofocus, touch focus and face/smile detection. Besides this, the Xiaomi Redmi Note Prime camera provides 1080p @ 30fps video recording in HD, making it possible to record every great moment in high definition. The Xiaomi Redmi Note Prime has a sleek and sturdy design with a comfortable grip and a stylish look. The dimensions of the phone are 6.06×3.10×0.37 inches and it weighs 185 grams making it handy to carry. The screen to body percentage of the phone is 68.8%. There is a large 5.5 inch HD display with 720×1280 resolution matched with a pixel density of 267 ppi. The display is of IPS LCD type. Other features of the display are capacitive touch screen and multitouch. The phone has an enough internal storage of 16GB. In case you feel you are going out of space, feel free to insert a MicroSD card up to 32 GB to store all of your important data and of course, your entertainment stuff. The Xiaomi Redmi Note Prime battery capacity is a tremendous Li-Po removable 3100 mAh, giving you a phone which is always active. Xiaomi Redmi Note Prime battery life is excellent giving a talk time up to 38 h and thus, never keeping the user behind. The Xiaomi Redmi Note Prime price in India is expected to be INR 8,499 which is a humble amount taking into account all the features possessed by the phone. The above mentioned Xiaomi Redmi Note Prime review is only a minor insight into the structure of the phone. Apart from aforementioned specifications, other Xiaomi Redmi Note Prime features are accelerometer, gyro, proximity and compass. The reason why one should wait for it is because Xiaomi Redmi Note Prime price as compared to its other rival models is very less when contrasted on the basis of functions. This model is best suited for those who wish to get most of the tech in not much of a fortune. Xiaomi Redmi Note Prime full specs and reviews as of Apr 2019. Buy it here!